Revelations about U.S. secret surveillance programs have left China's Huawei Technologies exhausted on the public relations front, a top company executive said Wednesday. "It hasn't had much affect on our company's growth, but it's definitely increased our work load," said Huawei's acting CEO Eric Xu. Huawei, a supplier of networking gear, has for years fended off allegations from the U.S. that it secretly spies for the Chinese government. But last year the dispute appeared turned on its head when leaks alleged the U.S. had been secretly spying on China. Not only had the U.S. National Security Agency hacked into Chinese telecommunication companies, but also spied on the communications of Huawei executives, according to documents from former NSA contractor Edward Snowden. 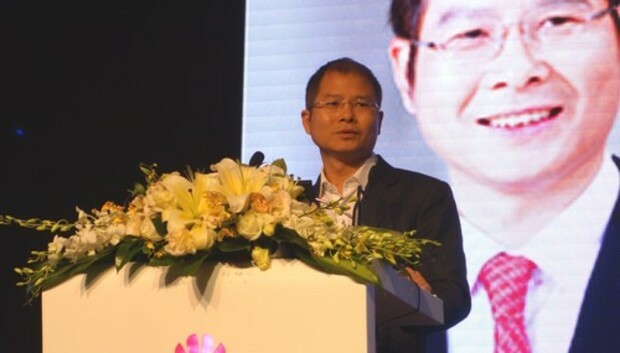 During Huawei's global analyst summit on Wednesday, Huawei's Xu said the leaks from Snowden have had "both a good and bad" impact on the company's business, without elaborating. But later added Huawei wants to avoid government disputes, and conduct its own business quietly. Huawei, however, is still facing difficulties in the U.S. market. In 2012, a U.S. congressional panel declared the company a security threat, and asked U.S. companies to buy their telecommunication equipment elsewhere. It prompted Huawei to shift its carrier business away from the U.S., citing "geopolitical reasons." Despite the change, Huawei's annual revenue is still growing. In 2013, the company generated 239 billion yuan (US$38.7 billion) in sales, up 8.5 percent from the previous year. But in North America, Huawei saw a "business slowdown", according to the company's annual report. This led to a 1.3 percent year-over-year decline in sales for the Americas region. For this year, the company plans on raising its investment in research by 14 percent, to about 35 billion yuan. One of the projects it's investing in includes 5G technologies to bring mobile network download speeds to 10 gigabits-per-second.